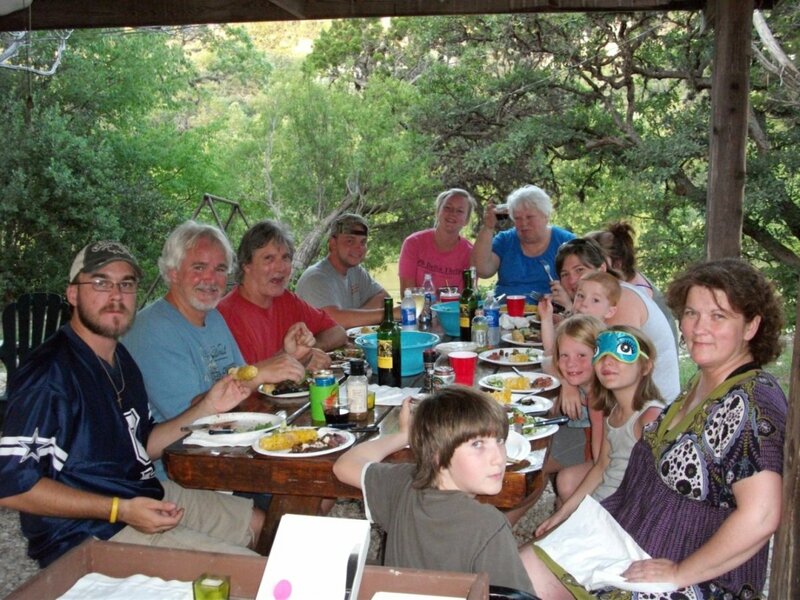 The new picture on the home page is of a family gathering this last summer at our camp on the west fork of the Frio river in the Texas Hill Country. I'm the 5th generation to grow up spending summer vacations at this wonderful place that we are so fortunate to have. This my favorite picture of the river below our camp. Not a bad place to relax for a spell. We like to eat on an extra long picnic table under the cedar shed. On one side, a rock fire pit where all the action takes place. On the other side, a hill top view of the Frio river. It is ambiance on steroids. There is just something about a steak cooked on that rock pit over mesquite and cedar. The rocks came from the river bed that my great great grandfather found. These rocks bring about 100 years of seasoning to the party. I can't think of a better place to start a fire, fix a drink, a cook some food. Like this past weekend, there are just times when it is necessary to drive the 320 miles to make and enjoy a really good steak dinner. A place where the air is filled with generations of comfort.